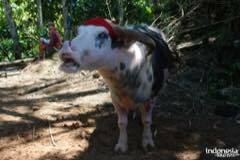 Rambu Solo Ceremony is ceremonial death Toraja society that aims to honor and deliver the souls of the deceased to the realm of soul, that is, back to eternity with their ancestors in a resting place. This traditional ceremony has become tourists’ entertainment for years. It is actually a procession of the death. 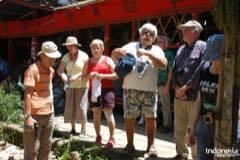 The locals gather in one place and carry a small Tongkonan to reach the burial site. 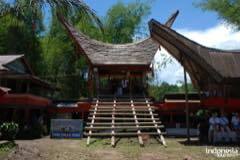 As mentioned before, the main feature of Rambu Solo is the small Tongkonan. The shape is the same as a traditional house of Tana Toraja and the color is mostly red. Several men would carry this thing along the way to the burial site. The other people follow it from behind. For tourists, it is possible to witness this procession. One thing, you should not make a scene or cause any problems during the ceremony. Otherwise, the locals may prohibit you to join it. In general, there are two processions during Rambu Solo. The first one is Rante or the burial session. Another one is the art performances. The thing is they complete each other. That means Rambu Solo should involve those two phases. However, Rante comes first. Usually, it is done in front of Tongkonan. Many procedures are done during this ceremony. For example, there is Ma’Tudan Mebalun. It is the wrapping of the corpse. Next, there is Ma’Roto. The family of the dead decorates the coffin using both silver and gold fabrics. Apart from those processions, there is Ma’Popengkalo Alang. The villagers may insert the corpse into the shed. Next, they may perform Ma’Palao. This is the parade. The purpose is to carry the dead body to the burial site. The name of the destination is Lakkian. Once all of these processions are done, you can enjoy the art performance. It is for numerous purposes. For example, it is done as the form of entertainment. Not to mention it becomes the last tribute to the dead person. Both villagers and tourists are able to enjoy different types of performances. For example, it is the parade of the sacrificial buffalos. Next, there is Pa’Pompan. 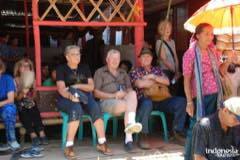 It is a local musical performance done by the villagers. Moreover, there are some traditional dances also become a feature in this ceremony. 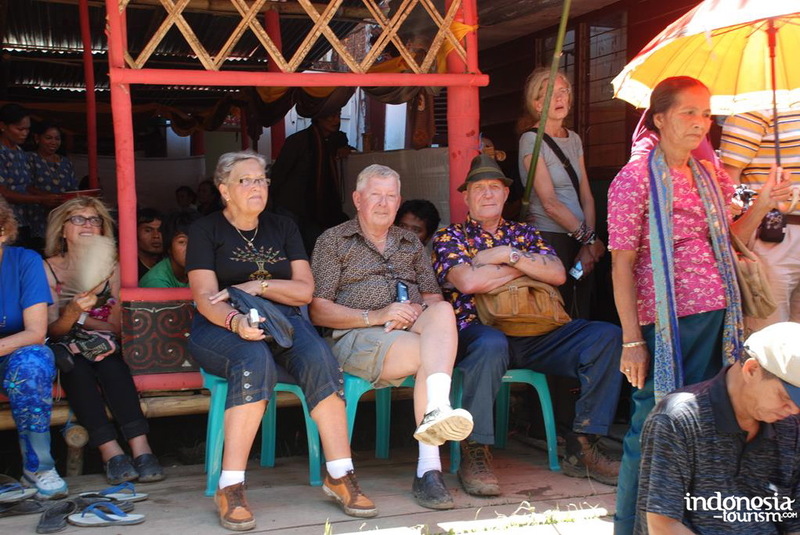 In a nutshell, Rambu Solo is a compulsory traditional ceremony in Tana Toraja. It is done when there is a dead person. Today, it also becomes a unique tourist lure in South Sulawesi Province. Make sure not to miss it. For those who live in South Sulawesi, it won’t be difficult to witness Rambu Solo. Almost all villages in Tana Toraja Regency perform such ceremony. From Makassar City, your trip takes about 315 km. That means you may spend about 7-8 hours. When it comes to the best route to reach Tana Toraja, you can take Poros Barru – Makassar Street. In this case, the best transportation option will be a private or rented car.